Wells window shutters by Just Shutters your local experts! The stunning cathedral city of Wells, set to the South of the Mendip Hills is steeped in history and mystery, and the homes are brimming with English charm and character from throughout the centuries. 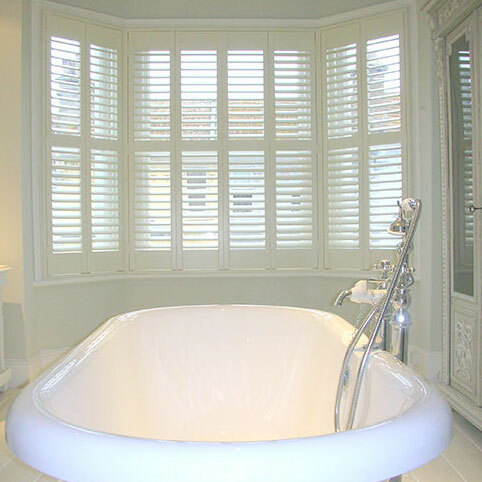 Just Shutters have vast experience of designing and installing the finest Plantation Shutters, so whether you have a city centre townhouse or a rural idyll, we have the expert knowledge and sensitive touch to ensure your home is in great hands. Call us on 01225 302599. Your local specialist is Rob Cole (pictured). Rob is an expert who loves shutters and the way they enhance a room. He has an eye for detail and thorough nature that creates perfection. Rob has been MD of your local Just Shutters for many years and has earned an unsurpassed reputation for quality and service. Interior shutters are a practical and beautiful window dressing; with shutters, the beauty really isn’t just skin deep. Shutters offer incredible light/shade control, giving you privacy while allowing you to see out, making the most of a view. Shutters are low maintenance and hard wearing, as well as being able to fit (almost) any size or shape window or door, without detracting or masking interesting shapes and features. – Just Shutters offer a lifetime guarantee. Our experience and skill is matched by our service and customer care, having built our business from our family roots we have kept our local business ethos as we have grown, ensuring we put the customer at the heart of all we do. When it comes to shutters, we are the specialists and have worked on an array of properties; listed buildings, large stately homes, small apartments, hotels, schools and other commercial environments – so we understand the unique nature of each customer and their needs. We would be delighted to show you just why we are so sure we are the best in the business – call us on 01225 302599 or follow the buttons for more. New shutters to windows and patio doors. Supply and installation of 3 sets of shutters. You may also like to see: Shutters Bath, Shutters Bradford on Avon, Shutters Trowbridge, Shutters Frome, Shutters Winchester or Shutters Chippenham.